We feel pleased to present ourselves as the main manufacturer, exporter and supplier of Pressure Vessels for Petrochemical Industry. The offered weight vessels are inspected on a few parameters to convey a deformity free roaming. These pressure vessels are made accessible in different details for satisfying the necessities of clients. 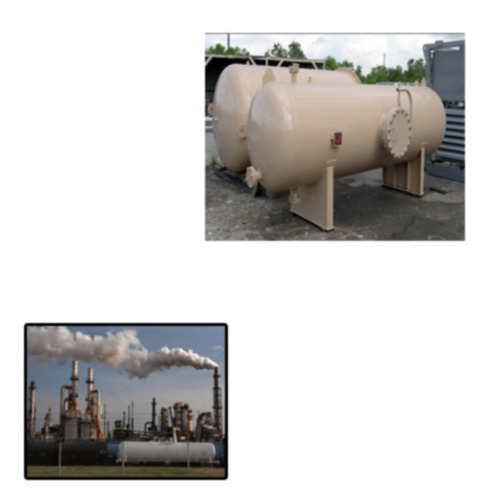 We offer these pressure vessels at aggressive cost in a stipulated time span. We came into existence as an organization named, Solar Equipment Private Limited in the year 1987, We earned a name of trust attributed to the distinctive manufacture of our products which include Storage Tanks Vessels, Industrial Blenders and Pressure Vessels amongst a selection of other products. We specialize in Design Manufacture, Testing and Supply of Storage Tanks, Vessels, Pressure Vessels, Reactors Dryers, Filters Heat Exchangers Etc & also manufacture, Export And Supplier of Auto LPG Dispensing Stations other than the above products. We provide all our clients with products complying to Latest International Standards such as ASME, JIS, API, BIS, B.S. ETC thoroughly tested to ensure safety and precaution at all times of usage. Our products are user-friendly and easily operable with limited training requirements. We strive to achieve continued business relations based on mutual growth. We facilitate this by maintaining communicative approach and serving our clients with customized solution pertaining to their personalized needs. We export our products in Africa, Europe etc. Our organization has evolved into a modernized facility that incorporates all infrastructural necessities required for regular production of products. Our various departments work with collated efforts to render perfection to our products. Each product under our banner is designed using software to ensure calculated accuracy in dimensions. Formative material assessment also ensures that the product can handle pressure, heat and collision while reducing damage to the minimal. Our manufacturing division uses raw materials that are layered in a particular manner to ensure consistency in temperature, pressure and rigidity. Each product is tested for quality and dispatched to the client for their safe use.